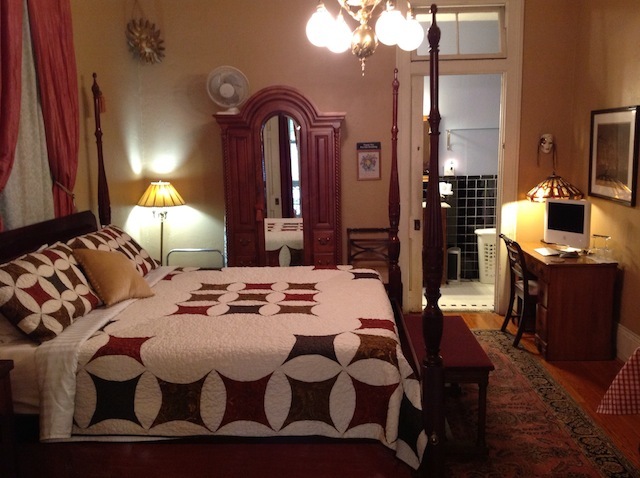 Sunburst Inn, Built in 1905, features a front porch with a private entrance leading to a beautiful double parlor living room / bedroom suite with adjacent private bath. 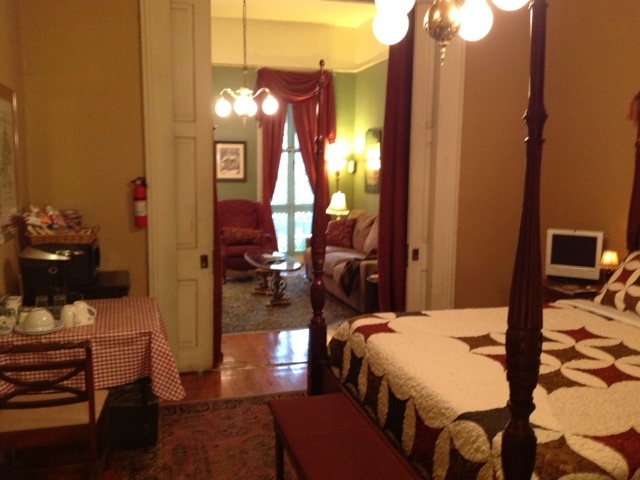 The suite has a king bed or can be set up with a second king bed if requested. The suite is fully furnished; the Living room has a 46-inch HD Television with Digital Cable, HBO, VCR, DVD/CD, Stereo system, Free High Speed WI FI access included. a desk. A dining table, microwave, refrigerator/freezer, coffee maker, a continental breakfast, snacks and soft drinks are provided along with daily room service. An Ice Maker with free Ice is located on premise just down the hall. 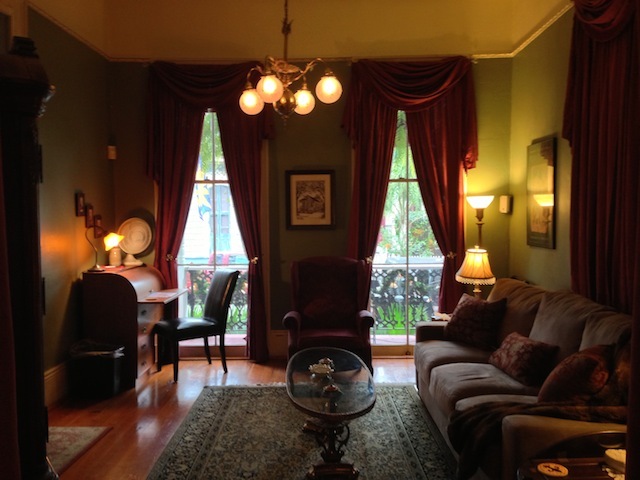 The living room and bedroom feature 12 foot ceilings, original ceiling medallions and chandeliers. A comfortable king bed sleeps two in the bedroom. The bathroom is private, with two separate access doors to provide added privacy among your group when the second king bed is requested. 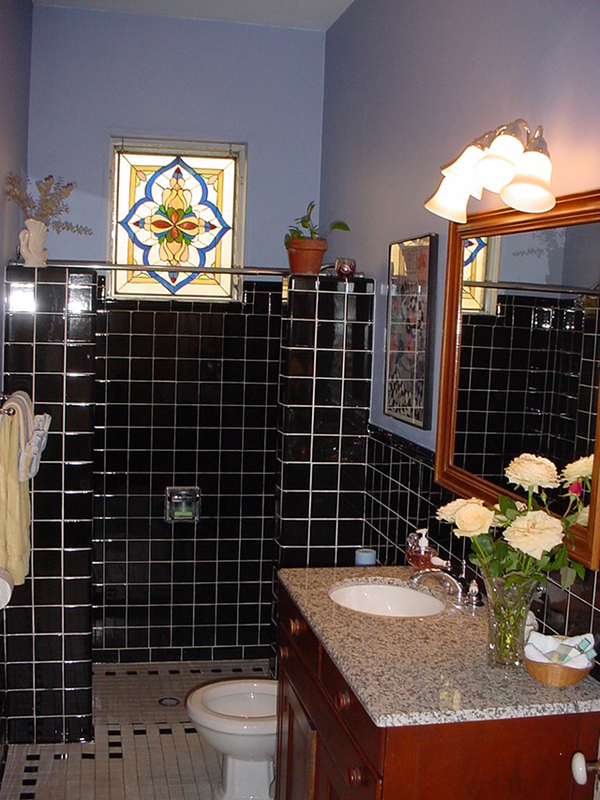 The walk-in tile shower features dual shower heads.